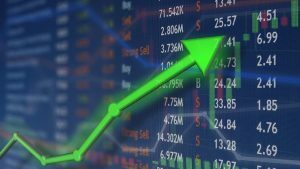 NEW YORK, NY / ACCESSWIRE / February 8, 2019 / Few trends ever see the kind of growth that has taken companies like Aphria Inc (NYSE: APHA) and Cronos Group (NASDAQ: CRON) from zero to hero. By 2021 according to a report from the Brightfield Group, legal marijuana products will be a $31 billion industry globally, and the move towards legalization in major economies has made for some amazing opportunities for investors. Marijuana investors should start paying attention to another government-driven move that’s happening right now, and could be creating another $50B industry right under our noses. The Centers for Medicaid & Medicare Services (CMS) are saving huge amounts of money by getting patients out of hospitals and into smaller ambulatory surgery centers, and using remote and virtual health services. Medicare is keen to save money because they pay for the healthcare for almost all seniors in the United States – they’re the biggest single “insurance company” in the country. Medicare is saving billions each year just by getting patients out of the hospital and into smaller more efficient centers, and using virtual care technologies. According to a study from UC Berkeley they could be saving as much as $57.6 billion in just ten years  – streamlining costs is a major focus for CMS. Companies that benefit from this transformative move in healthcare dollars should do well as a result. One key technology that’s powering the move away from hospitals in recent years is the growth in quality remote monitoring devices that allow doctors to keep an eye on patients, and diagnose them, without keeping them in the hospital, where the costs rack up quickly. CMS and care providers need great monitoring solutions to push this trend further. Large companies like Medtronic (MDT)and Abbott (ABT) should continue to meet demand, while smaller companies like iRhythm (IRTC) and Biotricity (BTCY) make headway with new innovations in remote care. IRythm’s (IRTC) Zio device only launched nine years ago and is already generating over $120 million in sales each year; they reported $38 million in sales in Q3 2018 alone. IRTC hasn’t gone near it’s $17 IPO price from 2016 and now trades at over $70. Biotricity (BTCY) launched their heart monitoring device in mid-2018 and so the launch is just getting out of the gate. Called Bioflux, this is an FDA-approved (approved in December 2017), medical-grade remote patient monitoring device that monitors a patient’s ECG in real-time, periodically uploading to the cloud via embedded cellular technology. The first Bioflux sales launch is underway, and the company is now developing Biopatch, an ECG patch much like IRTC’s Zio device that the company expects to release in Q1 2019 as a smaller alternative to Bioflux’s 3-lead system for some less complicated patients. The regulators are acting quickly to make it easier for innovators to make money. In early 2018, CMS added new “CPT codes” to allow physicians who use remote monitoring to get paid specifically for this process. They’re evaluating changes that would further optimize things for docs who put remote monitoring to use. Remember, there are $50 billion or more of healthcare dollars out there that could be saved by CMS. Don’t buy a penny stock if you aren’t prepared to lose your entire investment. Penny stocks may trade infrequently, which means that it may be difficult to sell penny stock shares once you own them. Moreover, because it may be difficult to find quotations for certain penny stocks, they may be difficult, or even impossible, to accurately price. For these, and other reasons, penny stocks are generally considered speculative investments. Consequently, investors in penny stocks should be prepared for the possibility that they may lose their whole investment (or an amount in excess of their investment if they purchased penny stocks on margin).